“This body of work is my attempt to counter the ugly rhetoric of separation and racism exploding all around us. 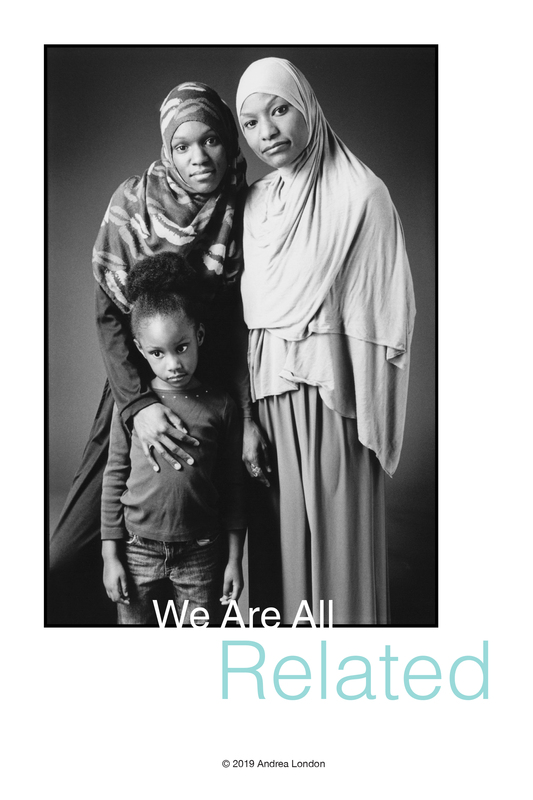 I decided to bring forward my portraits of both the marginalized and mainstream to show the interconnections among people I observe every day. I hope you will join me as I embrace this tapestry of beautiful faces and strong voices." Using black & white film, London has a decades-long career in photographic portraiture, including subjects who come back years later with their children and grandchildren. Each portrait tells a story, and she began to see how important these subjects’ stories are - with their similar threads of struggle, triumph, love and loss - and how important it is to tell their stories in today’s climate. We Are All Related strives to bring viewers together by helping us to see that no matter our race, religion, birthplace, gender identity, age or ability, we all belong to the circle of a shared emotional humanity. The exhibition opens on March 22, 2019, concurrently at two locations: the Pittsburgh Cultural Trust’s 937 Gallery on Liberty Avenue in Downtown Pittsburgh and a public art installation at Penn and Centre Avenues in East Liberty. Both sites are free and open to the public. A book of the exhibition will be available for sale. You can learn more about Andrea London at http://www.andrealondon.com/.